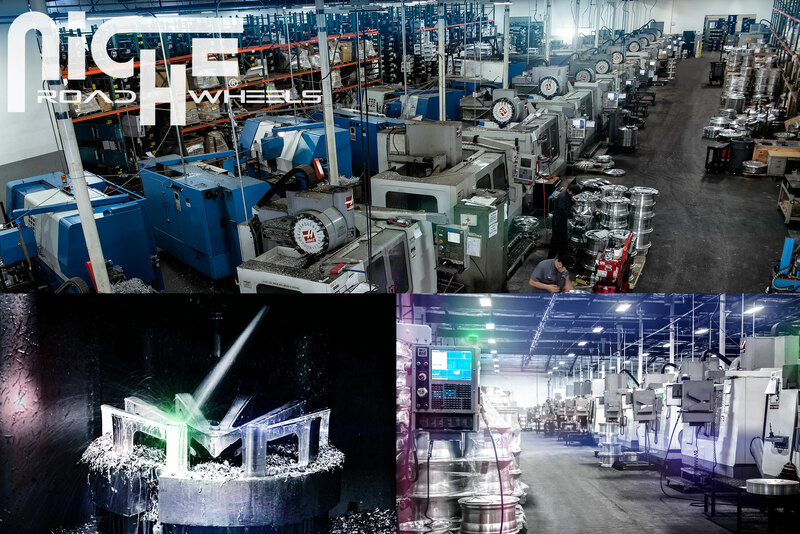 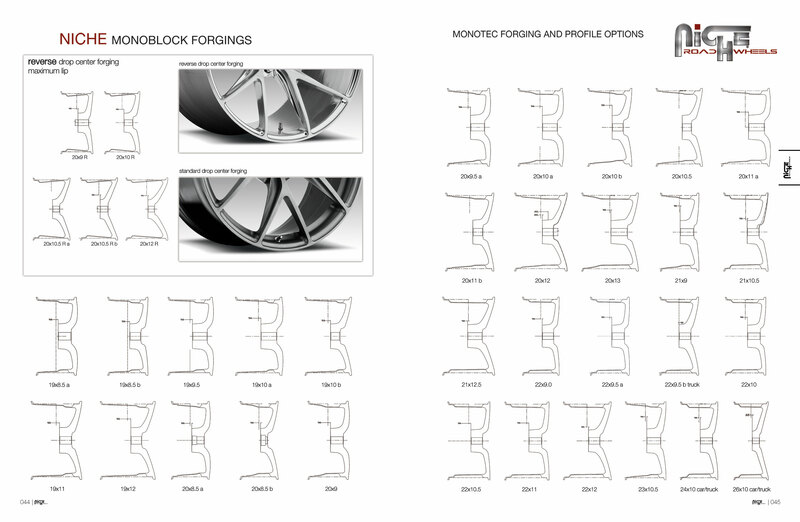 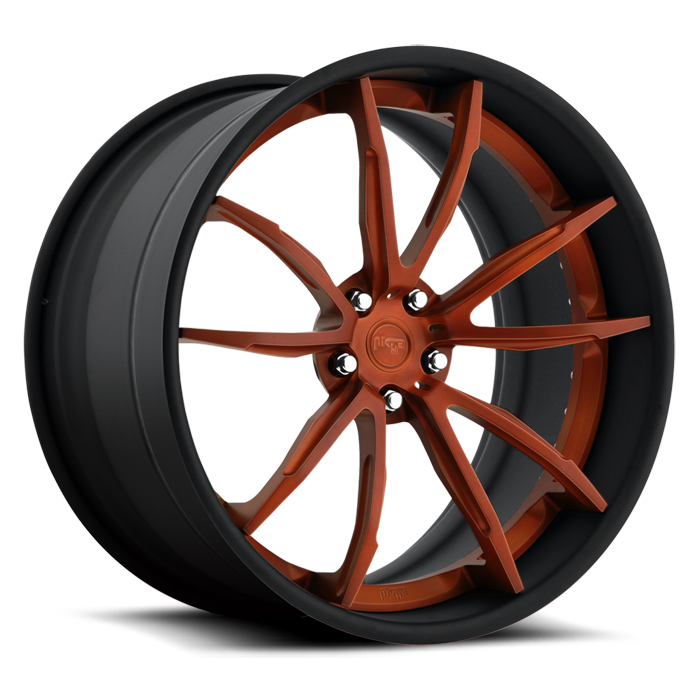 Niche Forged wheels are 100% custom made in the U.S.A. Machined from 6061-T6 forged aluminum, every set is custom tailored from start to finish meeting your specifications. 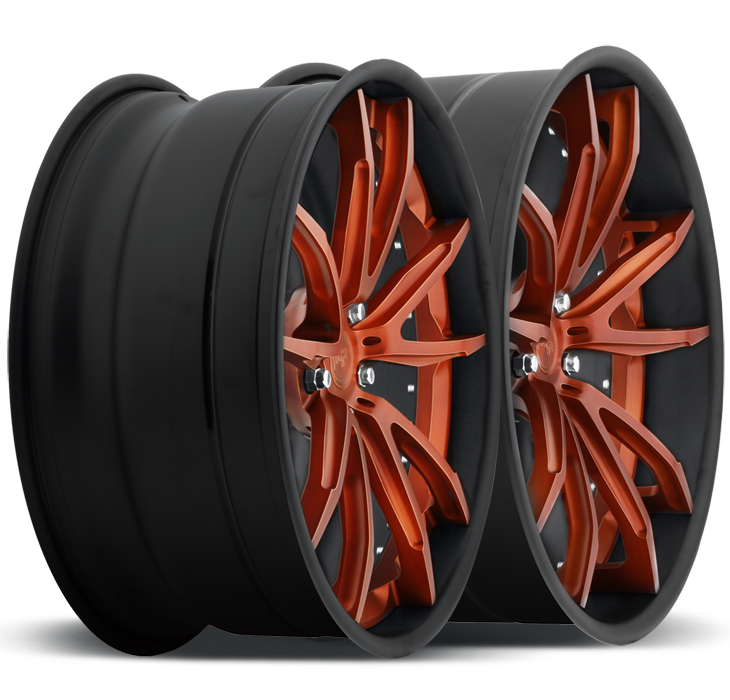 Sizes range from 14" - 26" diameters with anywhere from 6" - 17" widths. 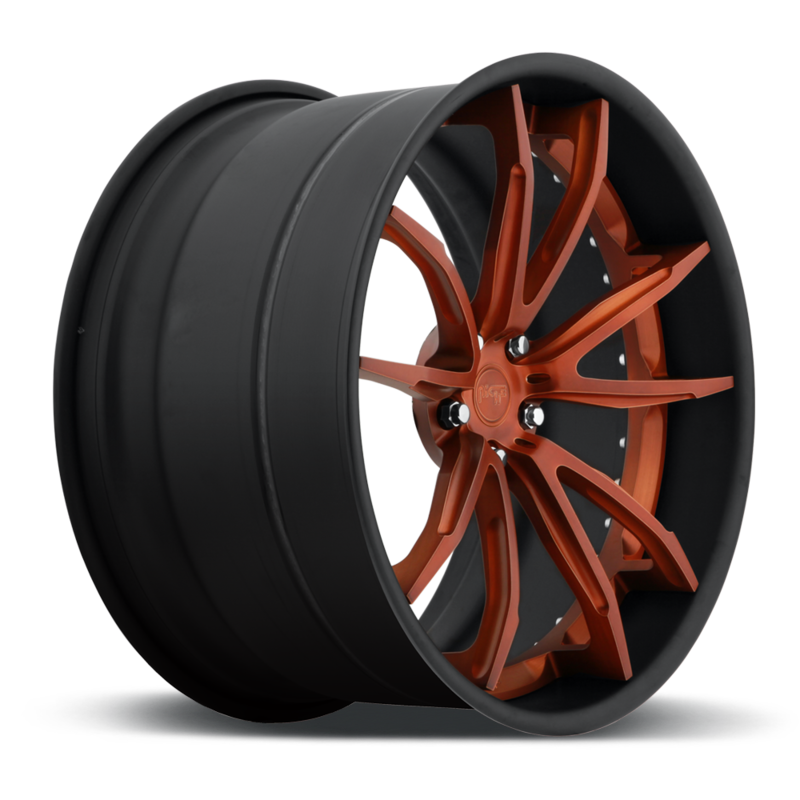 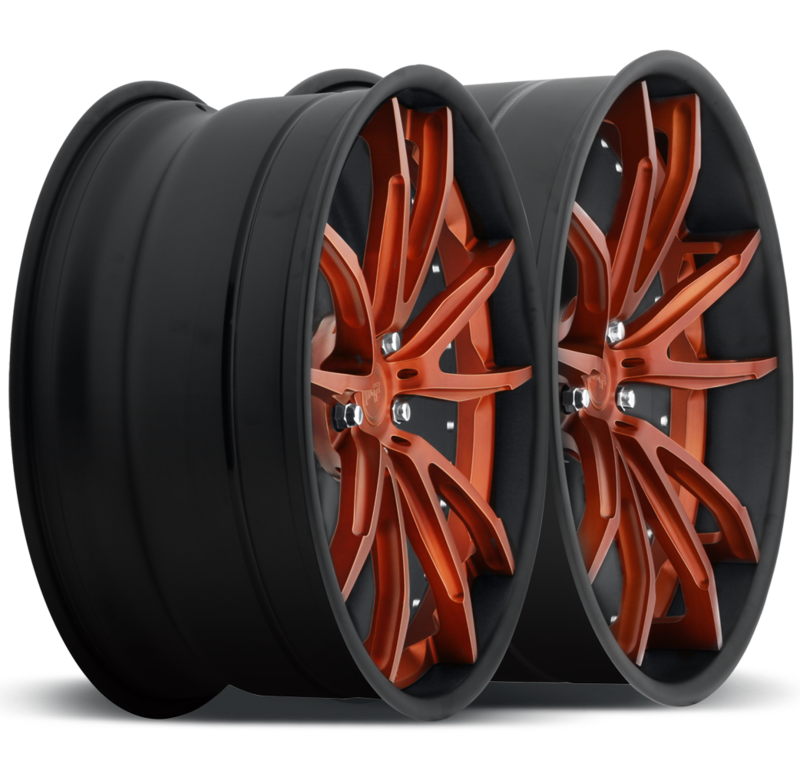 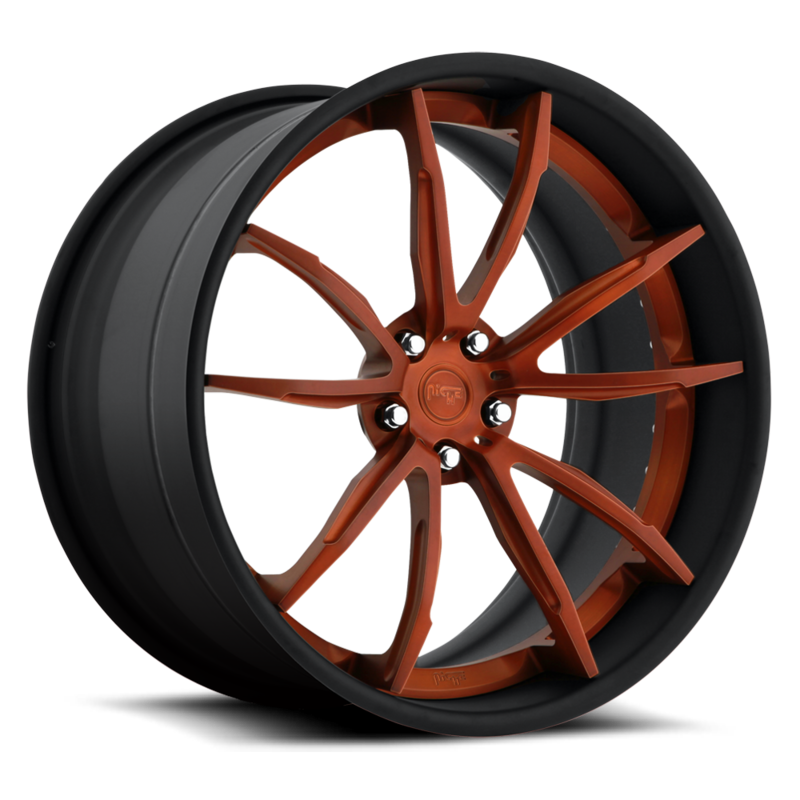 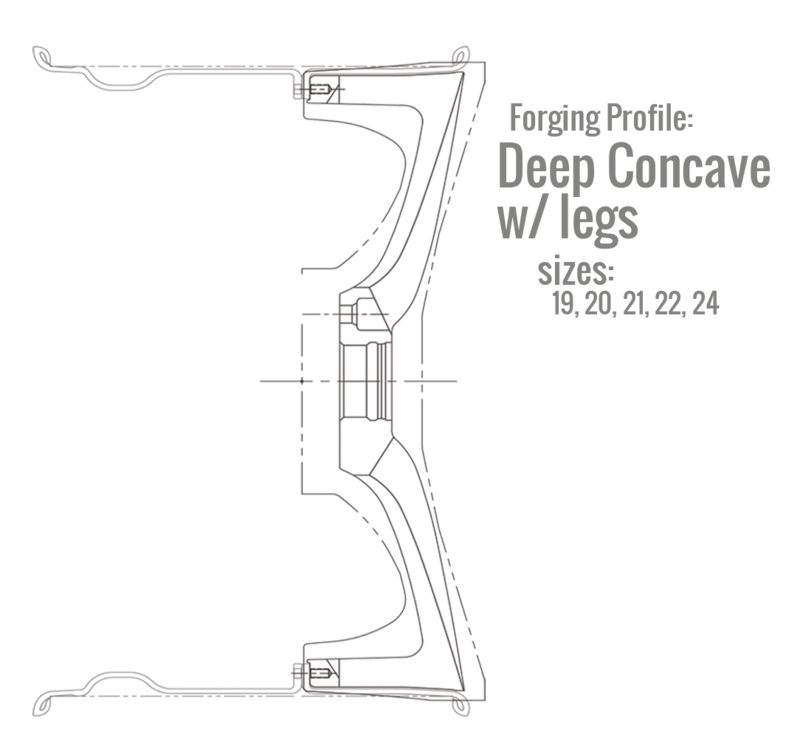 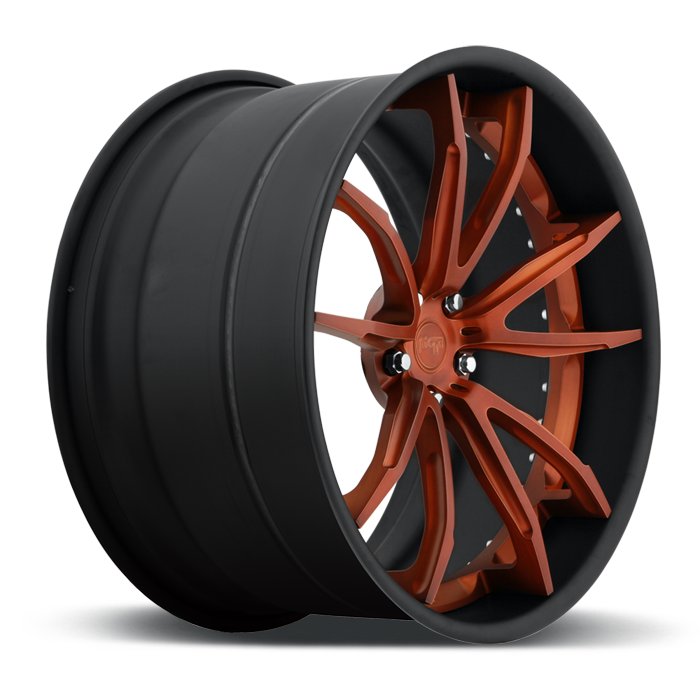 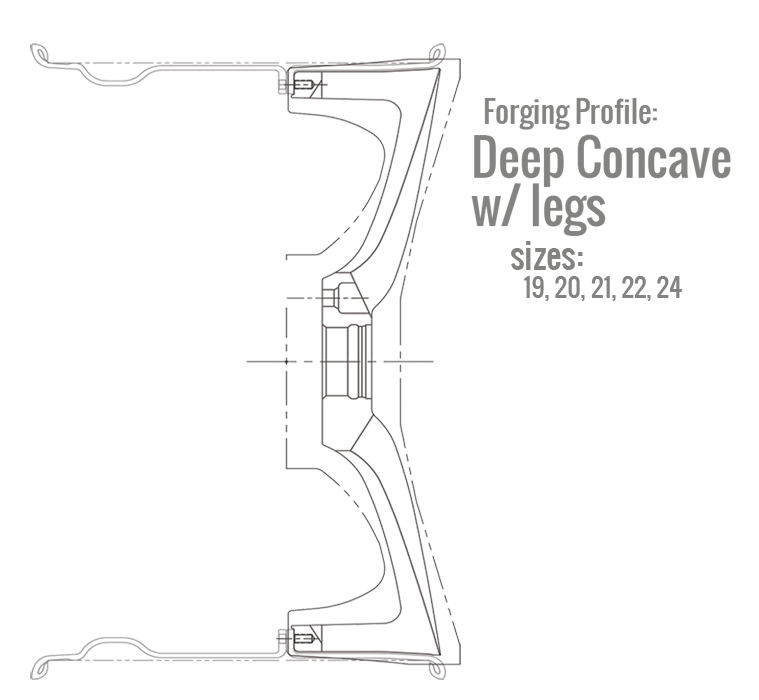 Available in any construction option; Monoblock, Mono II, 2 piece bolted or welded, and 3 piece rolled lip or step lip with a wide range of profile options from convex to deep concave with elevated spokes. 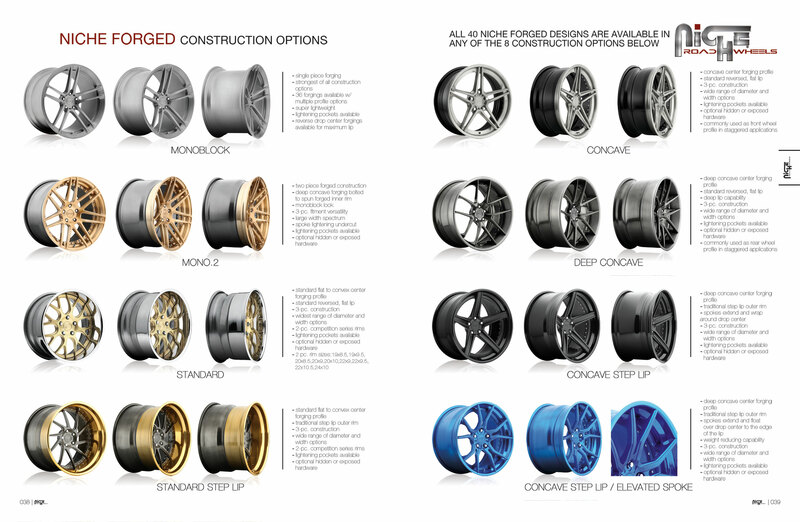 Custom finish options are limitless. 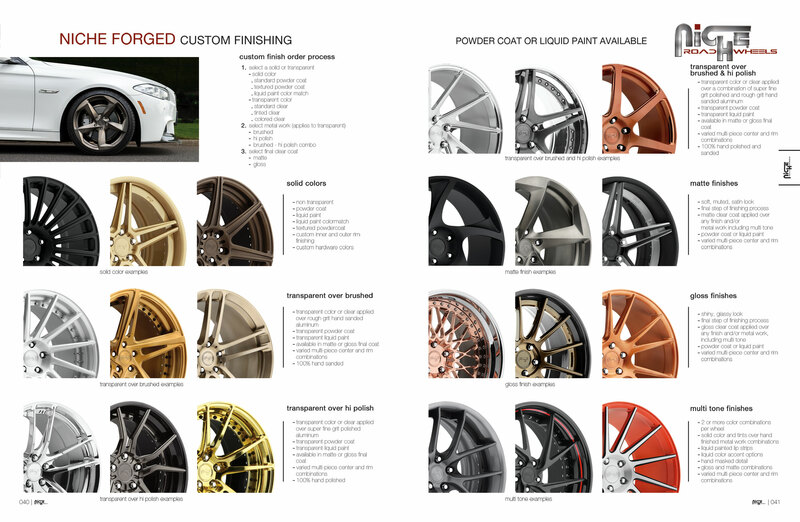 Solid single tones, textures, liquid color matching, multi colored options, tinted and colored transparent powders or liquid paints laid over intricate hand polished or brushed metal.